The 53rd (Shropshire) Regiment of Foot was a British Army regiment founded in 1755. In 1881, as part of the Childers Reforms, it became The King’s Shropshire Light Infantry Regiment. Its traditions are currently held by The Rifles. 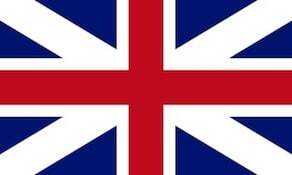 The 53rd was raised in 1755 as the 55th but was renumbered in 1757 to the 53rd. The regiment would see its first action when it arrived at Quebec City in May 1776 to help raise the siege of the city by Continental Army troops during the American Revolutionary War. The regiment served in the 1776 campaign under Guy Carleton, 1st Baron Dorchester at the Battle of Trois-Rivières and the Battle of Valcour Island. In 1777 its flank companies (Grenadier and Light infantry) were with Gen. John Burgoyne during the ill-fated Saratoga Campaign. Men from the other eight companies would serve under Maj. Christopher Carleton of the 29th Regiment of Foot during Carleton’s Raid (1778) and in 1780 during the Burning of the Valleys campaign. Lieutenant Houghton of the 53rd would lead the Royalton Raid in 1780 burning three towns in eastern Vermont. In 1782 the regiment was linked to the county of Shropshire for recruiting. The Regiment returned to England in 1787. During the French Revolutionary Wars and the Napoleonic Wars the regiment raised a 2nd battalion. The regiment would see action at the Battle of Nieuport, Battle of Tournay, St. Lucia, Battle of Talavera, Battle of Salamanca, Battle of Vittoria, Battle of Nivelle and the Battle of Toulouse. The regiment would be in India to serve in the First Anglo-Sikh War, Second Anglo-Sikh War and the Indian Mutiny where it took part in the relief of Lucknow. The regiment earned 5 Victoria Crosses during the Mutiny. In 1881 the regiment was combined with the 85th Regiment of Foot to form The King’s Shropshire Light Infantry Regiment. In 1968 The King’s Shropshire Light Infantry became the 3rd battalion of The Light Infantry. The 53rd regiment is commemorated in A E Housman’s poem ‘1887’, from A Shropshire Lad.